Unless you don’t have access to the news in any form, you’re probably aware of the major problem of gun violence in the United States. Sadly, we’ve grown disturbingly used to hearing about gun deaths in all corners of the country. Yet not much has happened in the way of gun control in America since the tragic shooting at Sandy Hook Elementary School in 2012. In fact, there seems to be a new shooting at least every week, whether it’s another school or an all-too-familiar case of intimate partner violence. It’s nothing short of devastating. And sometimes, what they do is even worse. 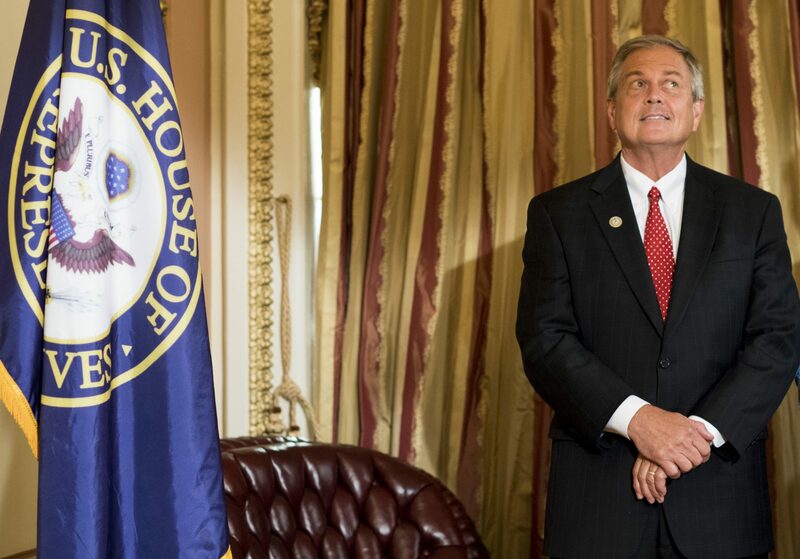 During a constituent event on Friday, April 6th, Republican Rep. Ralph Norman of South Carolina pulled out a loaded gun as he talked about gun rights. Even worse? Ralph Norman was meeting with Moms Demand Action for Gun Sense in America at the time. In a statement, Norman said he “merely proved a point that guns themselves are not the issue.” He also referred to the Moms Demand Action members as “a group of organized anti-gun activists,” according to Politico. "Given the scenario that if someone had walked into that diner and began to fire a weapon, I told them I would be able to defend myself and them as well," Norman continued. "I'm tired of these liberals jumping on the guns themselves as if they are the cause of the problem. Guns are not the problem." Ralph Norman later made highly offensive comments about former Rep. Gabby Giffords (D-Ariz.), who was seriously injured in a shooting during a constituent meeting in 2011. Unsurprisingly, Ralph Norman’s actions completely missed the mark. Setting a loaded gun on a table is a clear intimidation tactic, and it’s shameful that Rep. Norman tried to prove his point by brandishing a weapon and putting others in potential danger.